Looking for Aircraft Parts ? 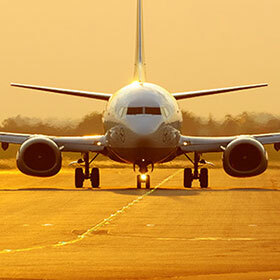 With the expected doubling in aviation traffic in the next 20 years and the subsequent expansion of the global fleet, the growth in demand for second-hand commercial aircraft spare parts will continue to increase consistently over the next several years. In this scenario Spare On Air is the first and only company being created exclusively to stimulate the aftermarket of used spare parts and to further promote environmental responsible recycling practices of aircraft components. Facilitate the transaction of used spare parts; support airlines and leasing companies to deal with industry cycles and finally; promote and encourage environmental responsible aircraft recycling practices. Airbus and Boeing predict that 12 000 to 13 000 aircraft will be replaced in the next 20 yearsand considering that the majority of the fleet currently in operation is composed by narrowbodies we specialize ourselves on the Airbus A320 and Boeing 737 families. Create an account today totally free of charge and search for thousands of parts worldwide, request for quotation and contact vendors directly. Looking to sell parts instead? Simply upload your inventory online and make your inventory available to potential clients all across the world. To gain more visibility and to make your spare parts and company standout from the completion contact us for specially designed advertising solutions. These include, email advertising, product highlight, dedicated advertising online spaces, amongst others. Spare on Air has a dedicated team assisting clients all over the world by directly facilitating trading of large volumes of spare parts. Contact us today and let us know more about your project and we would be ready to support your business. Overcapacity and uncertainty in the market may require airlines, lessors and other companies alike to temporarily ground part of their fleet. Through our vast network of partners we are able to assist your company in identifying a suitable location to park and decommission your aircraft at competitive rates. If a decision is made to permanently dispose of the asset we can also support you guaranteeing that the most environmental responsible practices are applied on that process. In order to have your purchased parts delivered to you at the most cost effective way and as quick as possible our team will provide the necessary support regardless of the size and location of the cargo to be shipped. For companies wishing to connect their inventory management systems such as Microsoft Dynamics, SAP and Win Air, directly with Spare on Air platform, we would facilitate the connection through the appropriate API. These would allow you to more easily manage your online inventory and at the same time increase the visualization level of your available parts by potential buyers.